Since the dissolution of the USSR and the Soviet bloc, the ruling class has been all too eager to declare the death of communism and “the end of history.” By the end of the 1990s, the brute force of imperialism and neoliberal globalization seemed to have eclipsed the counterhegemony that global socialism once promised. However, rather than stifling the struggle, the deep contradictions of capitalism have instead breathed life back into the revolution. With each miscarriage of justice, with each capitalist betrayal of empty notions of freedom and equality, workers and the oppressed see with greater clarity that we need to smash the entire system. Workers and oppressed people living in the U.S., under its racist, capitalist empire with Donald Trump at the wheel, are forming stronger and stronger bonds of solidarity with people’s movements across the world. To the dismay and surprise of the ruling class, socialism and the moral, historical and productive progress it represents are yet again inspiring the people to form disciplined opposition. The Democrats spinelessly tweet #resistance, yet remain complicit in global oppression. As the Democrats make clearer and clearer their allegiance to capitalism and the oppression it entails, the people must build stronger and more principled movements to fight for the only system capable of breaking from capitalism — the socialist system. This year’s National Party Conference of Workers World/Mundo Obrero in the New York City area will represent a historic gathering of workers, the oppressed and those who have recognized the fundamental threat to humanity which capitalism poses. Contradictions in the current capitalist system have exploded into the open at increasing and dramatic rates in this past year alone. These manifestations — from the climate disasters in the Caribbean, Mexico, the southern U.S. and California, to rampant, deadly, racist violence by cops and neo-Nazis in the streets of U.S. cities — shape our approach to, and expectations of, this year’s conference. As we near the 100th anniversary of the Bolshevik Revolution, we will acknowledge that triumph by firmly grounding ourselves in a historical perspective. Just as the Bolsheviks saw themselves in a uniquely revolutionary time and acted accordingly, so too must we grasp the content and potency of our own historical moment and, importantly, the political theory and action that necessitates. We must take lessons and inspiration from the revolutions in Cuba, Korea, Venezuela, Vietnam and other struggles that have fought and continue to fight an ongoing battle against capitalism and U.S. imperialism. The world today generates many existential, moral and political questions but provides few compelling answers to them. Oppressed people have pondered and built struggles to answer these questions. 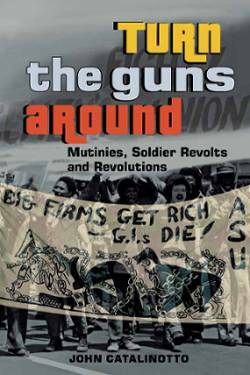 The radical, revolutionary and socialist movements that they formed provided answers with historically profound results. As we learn from the 100 years of socialism before us, we must also provide answers to fundamental questions ourselves, in our concrete social situation. Only through disciplined, self-conscious organization can we engage in the dialectical process of learning and doing which will be decisive in arming us with the revolutionary knowledge we need to decisively change society. The party conference is the locus of the people’s developing discipline, consciousness and strategic militancy. The party conference is where we begin and continue to form bonds with our comrades that carry us through the trauma, work and social chaos that capitalism and revolution entail. The party conference is where we can harness and sharpen the explosive revolutionary power that working-class and oppressed nations wield. Join Workers World/Mundo Obrero at this year’s party conference to learn, build, deepen your solidarity and develop your revolutionary potential. If you are hesitant to join the fight, know that the time is now! The time to unite and smash capitalism and white supremacy is today! 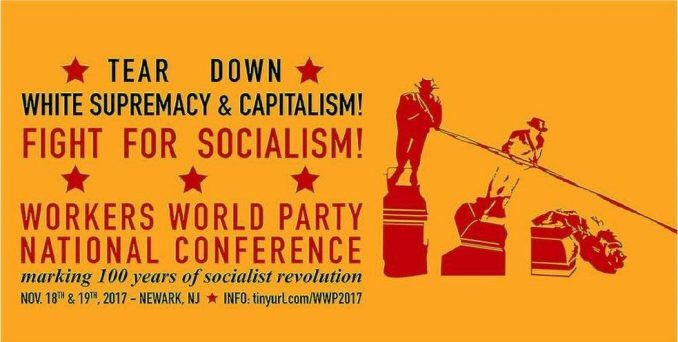 Workers World Party/Partido Mundo Obrero extends an invitation to you to “Unite to Smash White Supremacy and Capitalism” with us at this year’s conference.